For life threatening emergencies you have 911. For all other non-emergency medical transportation you have Amera Solutions. They operate a private ambulance service and provide non-emergency medical transportation throughout Houston, Jacksonville, Miami, Orlando, St. Petersburg and Tampa. As population ages and grows the demand for provide non-emergency medical transportation will also grow. A reliable and professional medical transportation company such as Amera Solutions provides an important service. If you don’t have your own transport need to get to the hospital or a doctor’s appointment, you dint need to rely on relatives or friends. Amera Solutions can help. They operate a large fleet of transport vehicles including sedans, ambulances and wheelchair vans. Even if you have your own transport, using a professional service will be safer and less stressful. Amera provides a complete solution when it comes to medical appointments and non-emergency medical transportation. They offer a reliable service that is flexible and affordable. They can also take care of related matters such as scheduling, coordinating and monitoring. Just because a transfer is not an emergency, it is still important that everything is done properly and professionally. That is what they do at Amera. Amera provides a private ambulance service and non-emergency medical transportation for seniors, injured people, sick people, handicapped people and anyone else who need to get to a hospital, clinic or doctors appointment. They pick you up, take you there and bring you back home again. 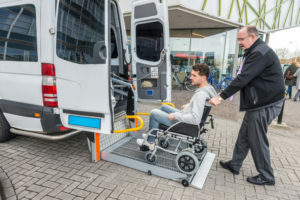 They medical transportation for outpatients, for people in wheelchairs and for people who need to make a doctor’s appointment. When you need non-emergency medical transportation in Houston, Jacksonville, Miami, Orlando, St. Petersburg and Tampa, Amera Solutions can help. Whether you need once off or regular medical transportation, they have a plan for you. This entry was posted in Uncategorized on October 18, 2018 by Amera Solutions.